The team at Instinct Entertainment has been hard at work, and we’re excited to post about their latest release. 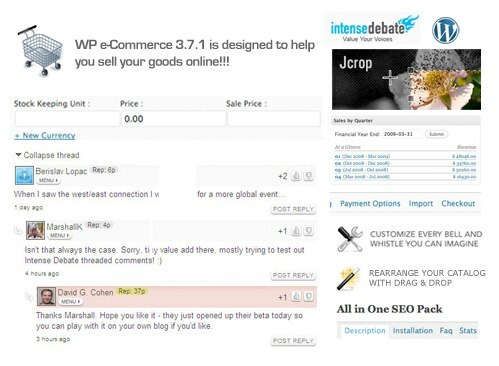 Their famous WP e-Commerce Plugin now features integration with IntenseDebate! Using IntenseDebate with your WP e-Commerce plugin gives your customers the ability to submit product reviews and comments while they’re shopping. Hats off to Dan Milward, Thomas Howard, Chris Beavan, Allen Han and the rest of the team at Instinct. Thanks all of your hard work fellas! We’re looking forward to giving you a hand with your shopping. If you’re not using the WP e-Commerce Plugin to power your shopping cart, then get with it already and install it! IntenseDebate and WP e-Commerce: it’s so choice. That is good news – unified commenting will encourage more consumers to leave product feedback, giving smaller online retailers a chance to compete against Amazon's user-generated product reviews. News that good, but the plug-in with a normal Russian translation is necessary to me. For an audience of Russia. By the way, localisation on other languages too would not prevent. Thanks. We're working on localization and we will offer it in the future. Would be nice if we can change wording from "Post a new comment" to "Post a New Review"… when used with a wp-ecommerce install.